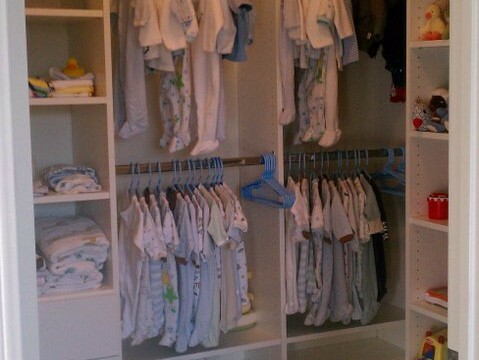 Transform your children’s closet into your dream space with a custom closet solution from The Closet Guy. With over 40 years of experience building kids closet organizers in the Greater Los Angeles area, I work closely with our customers to design, build, and install only the best quality cabinets at a fraction of the price of other companies. By handling the entire process myself, from consultation to installations, I eliminate extra overhead and pass that saving on to you. A well organized kids closet provides you and your family with a space-saving storage solution that fits your lifestyle including boys and girls spaces, adjustable shelving, soft-close drawers, overhead cabinets, cubbies, toy storage and hideaway laundry hampers. Since I build everything myself I can easily match your existing home aesthetics and woodwork such as windowsills, crown molding, lighting, and flooring so your child’s closet looks as if it was designed specifically for your home. When we custom tailor an for you, we take into consideration the space you have to work with, your style, your needs, and your budget. Large or small, we guarantee the highest quality materials, finishes, lighting, and design options to create a well-organized space you can enjoy every day.